There are so many beautiful stamp sets and Designer Papers in the new Annual Catalogue this year, that sometimes I just look at the array in front of me at I don't know where to begin, I love them all so much, or I want to use them all at once, but a moderate sense of good taste restrains me in the end. 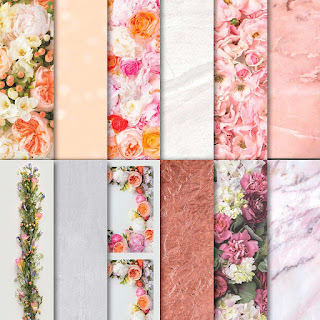 I've been playing with a lot of the new products over the last week and having a great time doing it, and I promise that I will work up a Top Ten list soon. I'm just having too much fun to do it right now! I'm researching...gathering valuable data....before giving you my considered opinion! 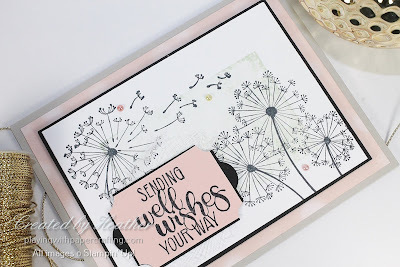 The stamp set I'm highlighting in this post is one I am drawn to because of my middle daughter, Kris, and her daughter, Cedar, who both absolutely love dandelions. 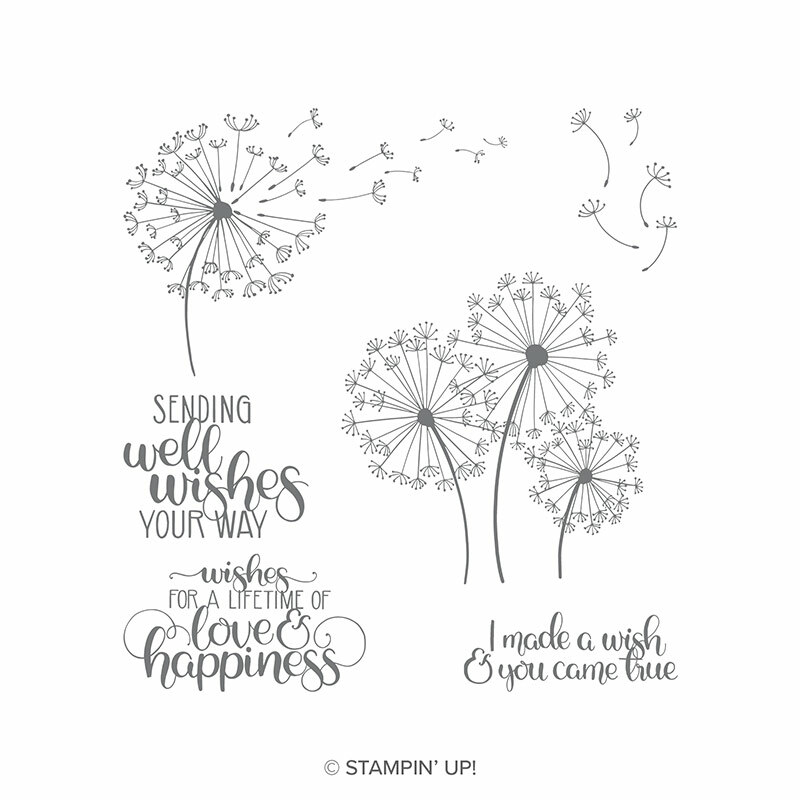 It's called Dandelion Wishes. Besides the great images of the blow-away dandelion seeds, I love the sentiments and the fonts on the script! 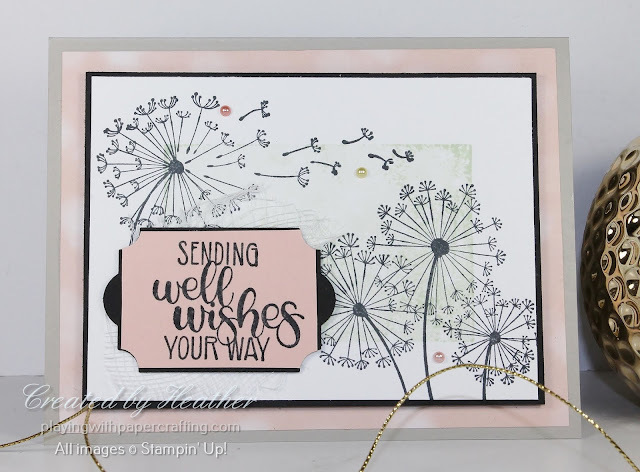 On a card base of Sahara Sand, I added a panel of Petal Promenade Designer Series Paper. 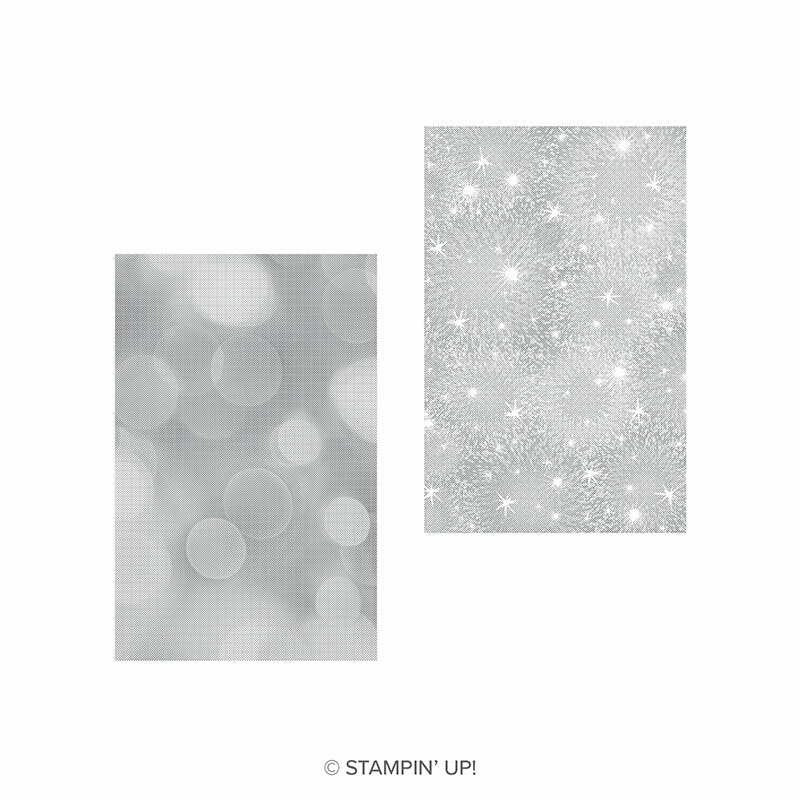 This is seriously beautiful DSP that will give you major anxiety over cutting into it and deciding which side to use! On my main panel, I stamped a rectangular area with one of the cool background stamps from the Bokeh Dots set. I used Soft Sea Foam ink here, but I wished I'd used something a little darker so that you could see the great texture and design in these images. I used some Petal Pink cardstock to stamp the sentiment on and then punched it out with the Everyday Label Punch. But because I wanted some kind of a backing for the sentiment, I trimmed away the end bumps and about 1/16" of an inch all the way around then mounted it on the same shape punched from Basic Black cardstock. For some added texture, I cut a small piece of cheesecloth, fraying a bit and mounted it underneath the sentiment with glue dots before adding it to the card front. Some Share What You Love Artisan Pearls add a finishing touch.